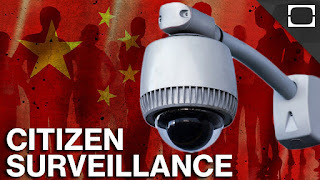 KINAFORUM: Camera Above the Classroom Chinese schools are using facial recognition on students. But should they? Camera Above the Classroom Chinese schools are using facial recognition on students. But should they? Jason Todd first discovered his school’s secret on the internet. It was late September 2018, less than a month after high school had started. Jason was idly scrolling through his news feed on the Chinese microblogging site Weibo when he saw a trending hashtag — #ThankGodIGraduatedAlready — and clicked it. Under the hashtag, someone had posted a photo depicting a bird’s-eye view of a classroom. Around 30 students sat at their desks, facing the blackboard. Their backpacks lay discarded at their feet. It looked like a typical Chinese classroom.